Tag Archives for " Dave Sutton "
6	How to Create a Compelling Six-Second Brand Story? With the proliferation of media and the rapid adoption of digital channels, consumers are bombarded with thousands of brand messages and stories every day. In fact, marketing experts estimate that, on average, people are exposed to over 5,000 advertisements each day, making it harder than ever to gain the customer’s attention. 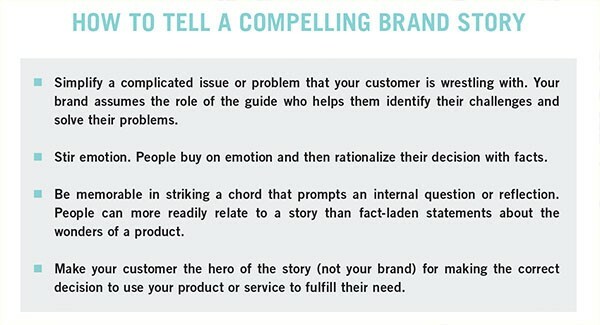 The reality is that you have six seconds to tell your brand story and make a connection with your customer. Yes, six seconds. A 6-second window to give your customers, your audience, a reason to care, and a reason to want to learn more about your offer. Success in those six seconds depends on the perceived value that your brand will bring to the customers’ lives: the “Why you do what you do.” This message needs to be always refined through the lens of simplicity, clarity and alignment; the three foundational pillars that a brand story absolutely must have to connect and engage with the customer. Why should a customer care? Why should they listen to your story? 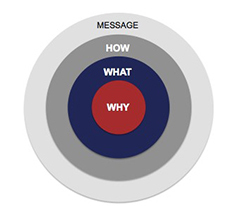 Wrestling this question to the ground from the customer point of view requires you to go to a deeper and more emotive level of engagement with your customers by distilling down the “why you do what you do” as a company into a “why” that captures the customer’s imagination. Most marketers focus on the “What”: the product and its functionalities. Whereas the customers are willing to know “Why” that product is so different than all the other options available, and “Why” does it matter to them. For customers, the “Why” must speak to the true impact and purpose that you deliver to their life. It must resonate with the customer in such a way that he or she wants to be a part of the brand story. Your brand story must be simple, clear and aligned with your customer’s needs and wants. It must be bold and encourage exploration. Simplify the essence of “Why” the brand matters, or what is the value that it brings to the customer. Most customers have neither the time nor the inclination to try to figure this out on their own, which is why this question needs to be answered through the simplicity of a great story. Give people a reason to care, a reason to buy, and a reason to stay. People don’t buy from making logical, rational buying decisions. They make emotional decisions and then justify those decisions by rationalizing them with facts. There is a huge difference in whether your audience views your story as just another transactional relationship or a story that emotionally connects with their professional or personal journey. What do you want people to think when they see or hear your brand? People will be more engaged if they can actually relate to a story rather than listening to fact-laden statements about the wonders of a product. Compelling stories resonates when the audience can put themselves at the center of the story. We must make customers the hero, while the brand assumes the role of a mentor. When your goal becomes participation, rather than control, the hero is more likely to let you into their world [and their story]. You can start by focusing on experience-based efforts for a better customer engagement. That’s it! Sounds easy right? Not really… Creating a compelling 6-second brand story can be challenging. It requires a diverse set of scientific skills and an artistic eye. No matter how short the message is, never short-change the depth and richness of the story. And always remember to ask yourself: does your brand story pass the test of simplicity, clarity, and alignment? Can you tell the brand essence in six seconds? Is the story so compelling that it can transform your customer into a storyteller on your behalf? Once you have the Story, the next step is to connect with your customers through formats that they consume, in channels that they use, across every touchpoint in the buyers’ journey. Your customer is not only at the center of the story but also at the center of your strategy. Your Strategy should be a clear path to reach your target audience with the right message, through the right channel, at the right time. It requires ruthless focus and consistency throughout your entire organization, both internally and externally. Now, all that’s missing to truly transform your marketing is the alignment of the Systems, which is how you communicate that Story to the consumers. It enables you to flawlessly execute your Strategy and measure the return on your marketing investment. All the enabling technologies, employee communications, sales collateral and processes must be fully aligned to bring your brand to life. This is the secret of Transformational Marketing: Having the right Story, the right Strategy and the right Systems in place to unleash the true power of your brand. Transformational Marketing alters business models by changing how organizations market, communicate, and sell to customers. By providing products and services that actually make the customers’ lives better, companies build valuable customer experiences and transform customers into brand advocates.